Add a little splash of light to your Iray renders. 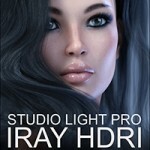 Easy to use, quick to render IG Iray Light Probes gives you clean, crisp, neutral lighting that is easy to use and quick to render. 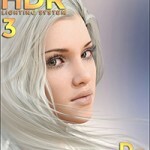 Designed to be usable as either your sole or primary light source in your scene or as fill or ambient light. IG Iray Light Probes can be a versatile addition to your lighting tool kit. All promos use only these light probes as their sole source of illumination, save one (the darkest one that has a tiny bit of fill light created by an emissive light in the ceiling).